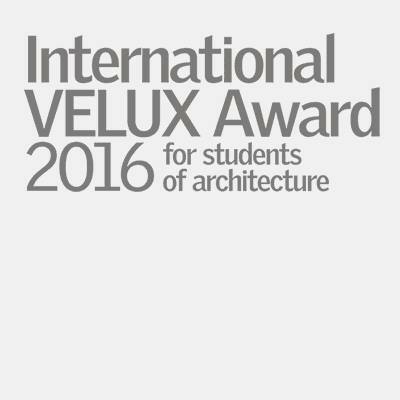 VELUX America and the VELUX Group are pleased to invite students and faculty to participate in the International VELUX Award 2016 for students of architecture. The theme is 'Light of Tomorrow'. Since the award competition was introduced in 2004, nearly 4,000 projects from some 5,000 students in more than 80 countries have been submitted. "With the award, our aim is to engage with students of architecture - the architects of tomorrow - about how to use sunlight as the main source of energy and light and how to ensure health and well-being of people who work and live in buildings. A key challenge is how to transform the existing building stock by active use of strategies for daylighting and natural ventilation." Per Arnold Andersen, architect and head of the Daylight, Energy and Indoor Climate Knowledge Center in the VELUX Group. This prestigious competition is open to any registered student of architecture, individual or team, worldwide. The Award, which encourages multi-disciplinary teams, challenges students to explore the theme of daylight in architecture. The Award is not restricted to the use of VELUX products. In 2014 three winning teams, two special mentions, and seven honorable mentions were selected from 802 entries representing 86 countries. The winners and their instructors shared the recognition and the 30,000 Euro prize money at the award event held in Vienna, Austria in October 2014. The Award is organized in cooperation with the International Union of Architects (UIA) Jury members represent different cultural backgrounds, nationalities, and approaches to architecture and diverse experience from teaching to practice.